We sense much anticipation in you, young Jedi, because you probably can't wait to play this latest Star Wars game. Playing a Jedi is sweet. Swinging a lightsaber and carving people up like steaks and unleashing Force lightning are fun times. 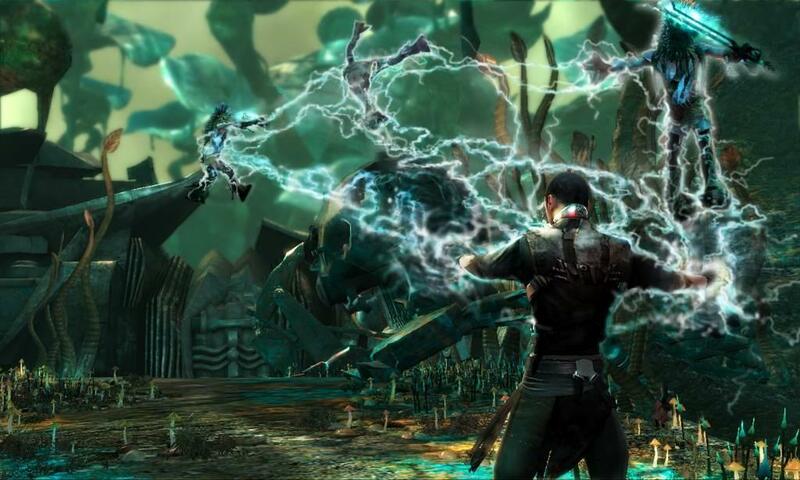 Well, soon enough, you'll be able to embrace the Dark Side of the Force, as Star Wars: The Force Unleashed arrives on numerous platforms this September, including the PSP. Although the portable version of Force Unleashed won't have the same destructibility and detail as its console counterparts, it will still have all of its fantastic Jedi chaos. You start the game playing as Darth Vader, slowly taking control of all the Force powers that surround you. From there, your apprentice, an unnamed chap with a penchant for evil, takes over, slowly hunting down Jedi scattered throughout the galaxy. However, along the way, he can't help but wonder if there is any good left in him. What we can tell you is that there are multiple powers at your disposal to help you bring down enemies. First up is your lightsaber, which you not only swing around but also use as a projectile. If you see a foe hiding behind a tree, simply fling it his or her way and wipe them out. Think of it as a boomerang, but way cooler. Then there are your Force powers, such as Force Lightning and Force Push. The Lightning attack, as you might expect, lets you shoot thunderbolts from your fingers, although it's limited in power. As for Force Push, it enables you to shove and crush enemies at will. Fortunately, your powers refill enough that you never seem to run out, so there's a fair balance. Other powers are available as well, with up to twelve in all through an easily accessible wheel. You also pick up six kinds of modifying crystals throughout the game, which play a heavy effect on your combat style. LucasArts hasn't broken down how this will work yet, but it sounds awesome. Along with the main story mode, you can also revisit classic Star Wars moments through the Force Unleashed mode, such as a lightsaber battle in a refinery in Star Wars: Episode III or the classic Darth Vader and Luke battle from The Empire Strikes Back. In addition, there are three original scenarios (Order 66, Force Duel and Dooku's Quarters) that you can take on to enhance your Jedi skills. All of them enable you to unlock more playable characters, including classic Jedi as well as a few surprises. There are also several multiplayer games available, including Force Assassin (where you hunt down fellow targets using your Jedi skills), Rule the Galaxy (where winner takes all) and the humorous Force Out, where you try to stay in a field while pushing your opponents out. Although the game won't look as clean as the higher-end versions, The Force Unleashed is far from an ugly game. From the Star Destroyer to remarkable planet-side locales (such as Kashyyyk, home planet of the hairy Chewbacca), the game looks great. The animations are superb, especially when you start ripping things off of walls and throwing them at enemies. That said, we can't wait to try and bring down a flying TIE Fighter, to see if our Force effects are up to speed. The PSP hasn't received a bad Star Wars game yet, what with Lego Star Wars and the two Battlefront games doing reasonably well. 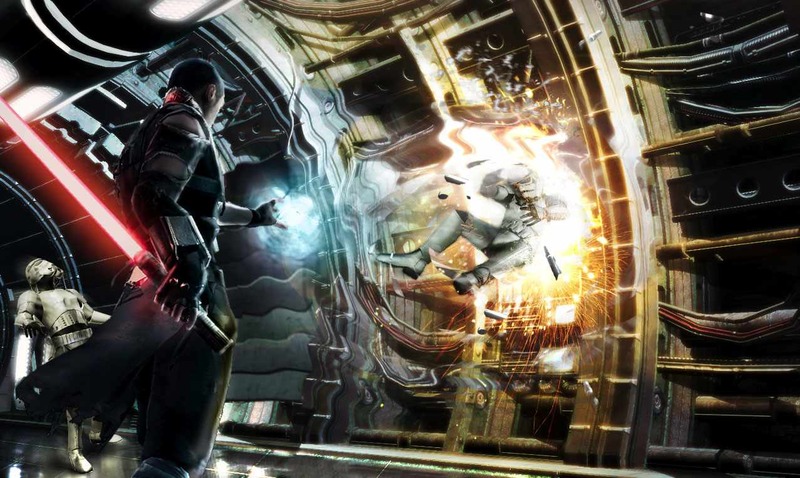 Force Unleashed looks to continue the trend, with a cool original story and guilty pleasure gameplay that brings out the best and worst in you. Be sure to check back soon for a review. Sense much anticipation in you, we do.